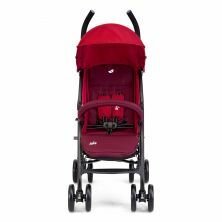 The Joie Nitro Stroller is a compact, light, ready-to-go stroller, that, despite its sleek and lightweight umbrella chassis, is actually able to hold up to 22.5kgs. 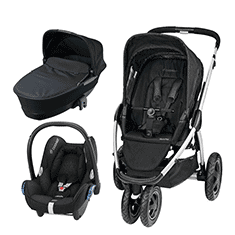 The multi-position calf support and all-wheel suspension give an incredibly smooth and comfortable ride, and the Joie nitro footmuff ensures they are kept warm and cosy during the colder weather. And for the summer months, the UPF 50+ sun canopy keeps their skin protected and their eyes shaded.